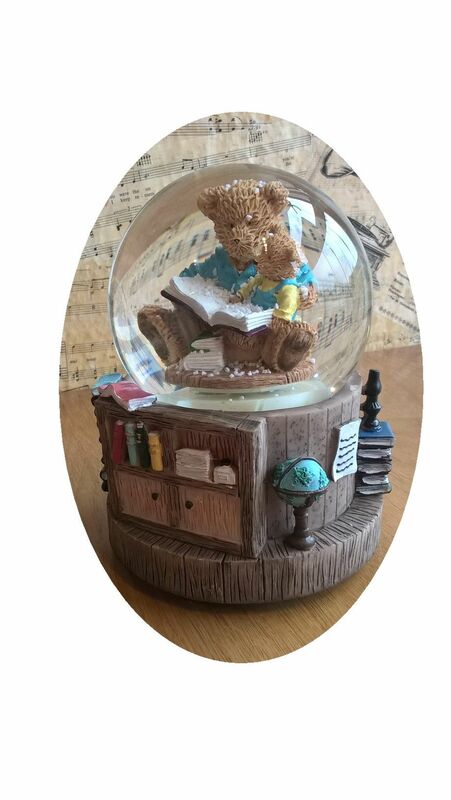 A beautiful Teddy Musical Snow Globe. 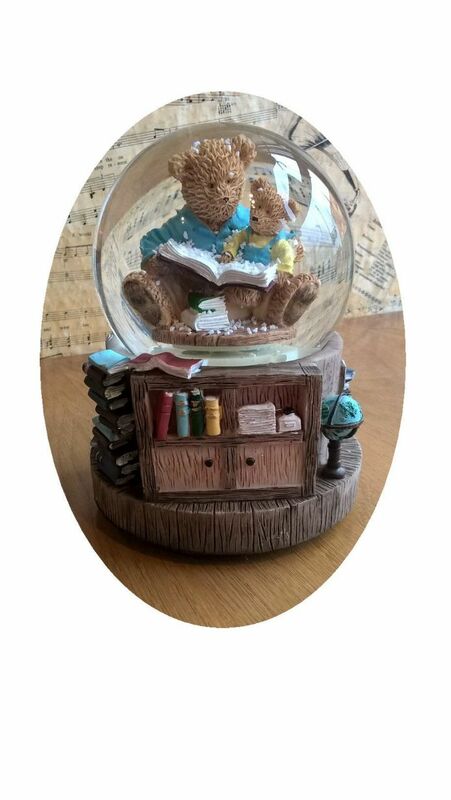 This unusual snow globe has two bears inside, one large bear and one 'baby' bear. The large bear is depicted reading to the baby bear. The scene around the base of the globe is of piles of books, a book shelf and a globe. There is a clock work musical movement fitted into the base and this is wound by a key on the base. When the musical movement is wound the music plays and the snow billows around the bears. 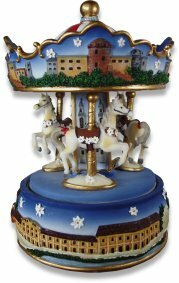 The music box tune is: Frere Jacques. Approximate dimensions: 11cm diameter base, 15.5cm high.